Three Palestinian teenagers, including a 13-year-old Palestinian boy, have been killed in West Bank clashes with Israeli soldiers in the past 24 hours. 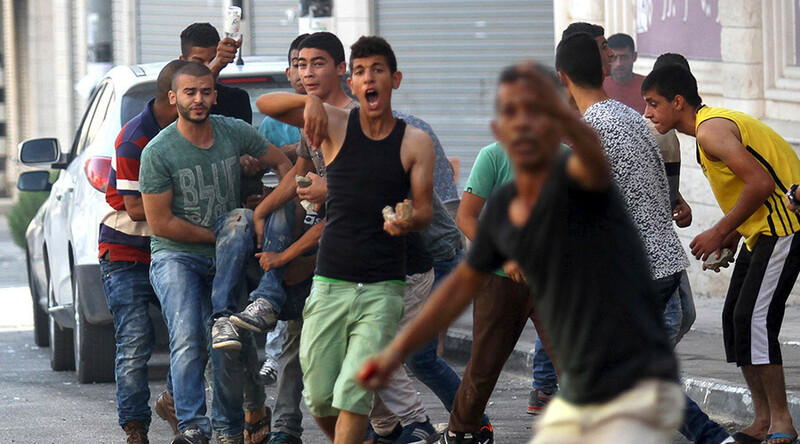 More than 450 Palestinians have also been injured in the violence. Abdel-Rahman Abeidallah, 13, died of a gunshot wound to the heart on Monday, a source at Bethlehem Hospital told Reuters. The boy lived in the local al-Aidah refugee camp and had taken part in clashes with the Israel Defense Forces (IDF). The Israeli military said it was looking into the incident. According to a Monday report by the Red Crescent, two Palestinian teens, aged 13 and 18, were killed in Bethlehem and Tulkarem, and 456 Palestinians have been wounded over the past day. The 18-year-old alleged stone-thrower was reportedly killed in Tulkarem earlier in the day. The IDF claimed that only a single shot had been fired in the area and it was “unclear” if the teen had been struck by an Israeli bullet. Meanwhile, The Times of Israel reported that a third Palestinian teen had been killed amid clashes in the Beit Hanina neighborhood of East Jerusalem. Violence in the West Bank and East Jerusalem has been on the rise lately, with frequent conflicts breaking out between Palestinians and the Israeli military at Jerusalem’s al-Aqsa mosque compound. The fighting has been fueled in part by the death of an Israeli couple in a drive-by shooting in the West Bank on Thursday, and a July arson attack that left a Palestinian family with a toddler dead. “The police are going deeply into the Arab neighborhoods, which has not been done in the past. We will demolish terrorists’ homes. We are allowing our forces to take strong action against those who throw rocks and fire bombs,” Netanyahu said. Mahmoud Abbas, the leader of the Palestinian Authority, called for peace, stressing that Israel was “taking advantage of violence to attack innocent Palestinians and to drag the entire region into violence,” Arutz Sheva reported on Monday. Abbas had a telephone conversation with Ban Ki-moon on Sunday in which he urged the UN Secretary General to take action to prevent the situation from deteriorating further “before things get out of control,” Palestinian Wafa news agency reported.